Morgan and Tamara Barnes, a romance? With 19 days until the Season Premier of CRIMINAL MINDS, rabid SHEMAR MOORE/Derek Morgan fans may find the waiting easier if they spend time watching the Season 5 DVDs, which go on sale on September 7. There were some great episodes in the past season. 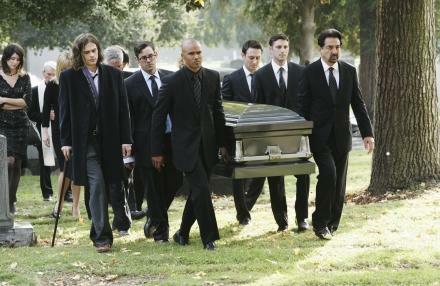 We saw Hotch's (Thomas Gibson) showdown with The Reaper, and the death of one of our own. There were close moments between Derek Morgan (SHEMAR MOORE) and Penelope Garcia (Kirsten Vangsness) to sate the appetites of the Morgan/Garcia shippers. 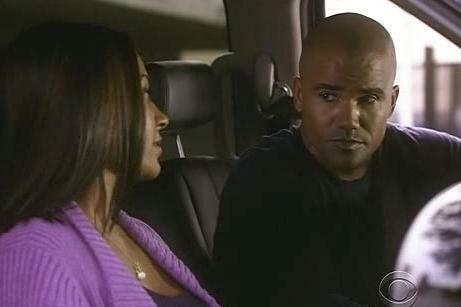 There was a hinted romance for Morgan with Tamara Barnes (Salli Richardson-Whitfield), and we saw our hero, Derek Morgan, get his own office at the BAU and become acting Unit Chief. Also, there were sensitive performances by some great guest stars, including Gavin Rossdale, Eric Close, and Sean Patrick Flanery. And, there was the abysmal pilot episode for "Criminal Minds: Suspect Behavior," which we at LOVING MOORE hated, but we plan to fast forward through that one. The DVDs will be on sale on Tuesday, and include some nifty extras which have already been posted on YouTube. 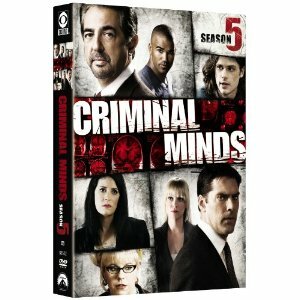 I am in agreement with many others - I don't think Criminal Minds needs a spin-off. However I think we should give it at least a try. Afterall, they've already hired the actors and offered the dual role to Kirstin Vangsness.